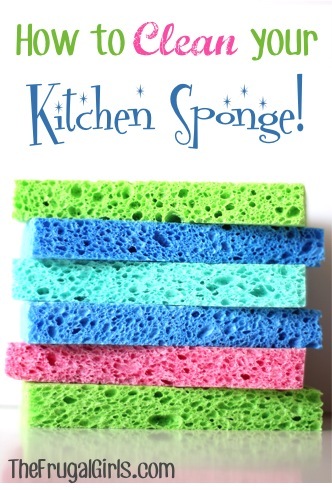 Learn how to clean kitchen sponges with these clever tips! On the hunt for a simple trick for How to Clean Kitchen Sponges?? Following is another easy kitchen tip that will help you save time and help your sponges last longer! There are several ways to keep those sponges clean, but my favorite tip is to just toss your kitchen sponge in the top rack of your diswasher, and run it through the next time you wash a load of dishes. Also… be sure to check your local dollar store for deals on sponges ~ I’ve found some large multi-packs of sponges there! 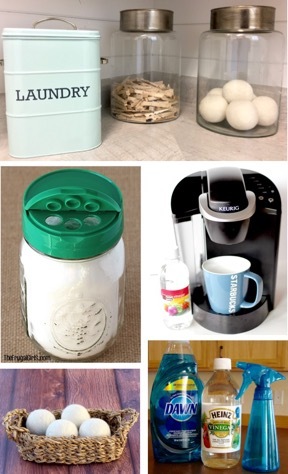 Be sure to check out even more creative Kitchen Tips and Tricks! Got a kitchen tip or trick?? Good tips. Enj0y reading you. Have a great weekend. When I use sponges (not often), I soak them in a very diluted bleach/water solution overnight. I just take the glass I was drinking from before bedtime and soak the sponge there. Works great, unless you use too much bleach! I have two sponges. Which I rotate. I put one out in the sun for a day or two which clears out the smell. Then i clean it in a bleach bath and its ready to go again. Its the one way I found that truly removes the smell. While you have the soapy sponge in the microwave, turn it on for 1 minute and let cool down a few seconds, wipe down your microwave and it will be spotlessly clean. I have found that microwaving your clean, damp sponge for 30 seconds also gets rid of that sour smell.